You have the right to remain outspoken! The right to freedom of religion, the right to convene, the right to protected property, and if you’re arrested, the right to remain silent. You have rights – and that really is awesome, so it is especially important to understand them. You may have already read the last half of this article, which highlights the first five amendments to the American Constitution. Those first five only constitute half of the Bill of Rights (which is comprised of the first ten Constitutional Amendments). So, look back, and read on because you CAN understand your rights. The right to a fair and fast trial by a jury of your peers. The Sixth Amendment applies to individuals who have been charged with a crime. Granted, that does not mean you should skip over this amendment’s explanation. Instead, you should be aware of your rights in the event of your ever being charged with a crime of any kind (which hopefully will not be a likely possibility). This amendment is the choreographer (so to speak) of the justice system- providing the steps of a trial. This amendment specifies that all subjects of criminal prosecution (those charged with a crime) are entitled to an attorney and to present a defense. 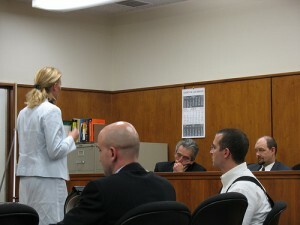 The prosecution can call witnesses in a trial, but the defense can do the same. The accused is innocent until proven guilty. The trial will be as unbiased as possible, and will take place in the state or district in which the crime was committed. Additionally, if you are charged with a crime, you have the right to know what the crime you’re being charged with is. This is just another amendment that shows how lucky Americans really are. We cannot be held indefinitely without any knowledge of the crime we are being charged with. Our prosecution can be countered by a level defense. In other words, a trial cannot turn into a one sided witch hunt. Criminally accused individuals must face the judgment of their peers; who have been instructed to understand that the defendant is innocent until proven guilty, and that the burden of proof rests with the state (meaning that the prosecution MUST prove beyond a reasonable doubt that the defendant is guilty). The subsequent justice system is not perfect, but it does provide safeguards for the citizens that are charged with a crime. Not all trials are criminal. Law suits have always been around (long before someone spilled a McDonald’s coffee), to settle civil controversy and disputes. 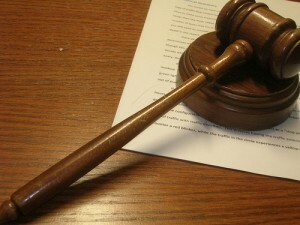 If the “value of controversy” (the amount that an individual or corporation is suing for) is greater than an amount set by state law, the plaintiff (person launching the suit and their legal representation) and respondent (and their legal representation) can start their engines for a trial by jury. Both sides present their case – and the suit can only be launched once – and a decision or ruling can be reached. Because the U.S. now has over 300 million people, the $20 limit has been raised to a more reasonable figure. Otherwise, the courts would be backed up more than they are now. Another amendment to expound upon the justice system, the Eighth Amendment, is a fabulous example of why constitutional debates constantly rumble like thunder over Capitol Hill. Read over the wording again. Note that it is fashionably vague and impossibly subjective. It is clear that the purpose of this amendment is to impose morality upon the justice system. But, what is an “excessive fine”? What makes it “excessive”? 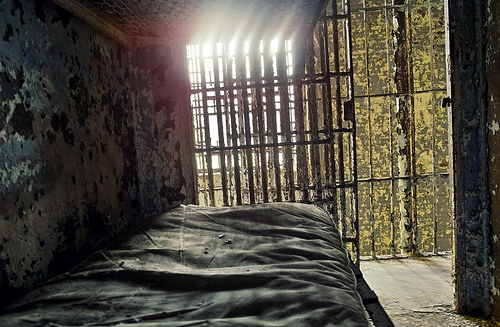 Could one person’s definition of fair bail for a given defendant seem excessive to another? What does “cruel and unusual punishment” constitute? 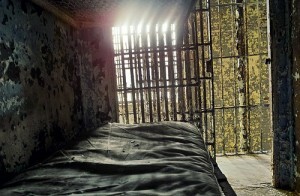 Could the prisoner lease system of the late 19th century qualify? Might some individuals consider the death penalty “cruel and unusual”? Might others disagree? The answer to too many of these questions is yes. Though concise, one sentence, one amendment could become a melting pot for boiling debate. However, it’s the wording of the constitution that gives it its unique combination of rigidity and flexibility. The Supreme Court is frequently approached with cases that force the justices to refer to, and often argue about, the Constitution. It is obvious that this amendment is important. It gives great value to human rights; liberty, safety, and truly just law all seem to have been taken into account. What is open for debate is the subjectivity of the semantics. Translation: Just because a right is not specifically laid out in this document (the constitution), does not mean it should be denied. This is often referred to as the elasticity clause. It gives the law room to grow. The forefathers understood that every basic human right, and the rights that present and future American citizens should have would take a lifetime to debate and record. They went on to add this amendment as a result. For example, we all have the right to walk. The constitution does not explicitly state that you are capable of walking as a citizen of the United States. What this clause does, is help to ensure that just because the Constitution does not say you are allowed to walk, that you will suddenly be prosecuted for putting one foot in front of the other. We’ve made it to the 10th and final installment of the Bill of Rights. This final statement delegates (sets aside) all of the powers that are not given to the federal government, to the state governments. The powers that do not belong to the federal government belong to the state government. The powers that then do not belong to either the state or federal government then belong to the people. This amendment exists to give power of government (in part) to the states. When the Constitution was in its infancy, this amendment helped it to be ratified by individual states (because it granted a degree of power to each ratifying state). Okay. Now you have read your way through The American Bill of Rights, and the explanations that have hopefully helped you to understand (and possibly find real life applications – either now or in the future) – for each amendment. Remember, this is not just a musty old piece of paper. This is YOUR Bill of Rights. Each right is yours to have. Understand them. Own them. They may come in handy one day. She's caffeinated, sixteen, and addicted to procedural crime shows. Sierra was first introduced to the law (at a young age) by Donald P. Belisarius's riveting television series "JAG", starring (most cheesily) a six foot four, ex-fighter pilot, named Harm. Since then, she has become an aspiring writer and a member of her high school's Mock Trial program (where she got to try her hand at litigation; defending and prosecuting fictional cases in real courtrooms). In today's world, the name John Locke will conjure more images of the "LOST" island, than the enlightenment's production of the basic rights of man (which inspired parts of the constitution, and arguably much of the basis of our legal system). That is why Sierra is thrilled to be writing for Ask the Judge. Teens need (and deserve) information about the law. "Caf-Pow" or "Starbucks" in hand, Sierra is ready to write about the law and the very real effects that it can have on you.